In the late 80s, I’d just finished college and wasn’t sure what to do next – my plan was to do a degree in Graphic Design, but then I spotted an advert in a local paper for a job as a Games Graphic Artist for a company called Codemasters. I’d never heard of them, but it sounded interesting so I applied. On the strength of my college work and a few sketchbooks, I was offered the job. 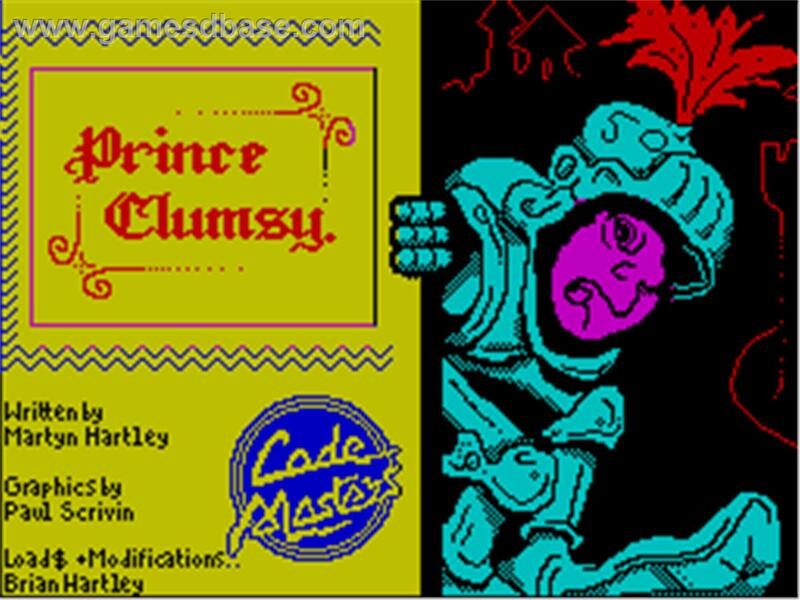 If my memory serves me right, I initially helped out on games like Prince Clumsy (Amiga) and Frankenstein Jnr. (C64). 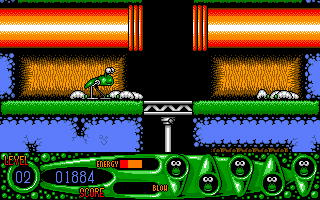 The first game I think I was credited on was the Amiga/ST version of Rockstar Ate My Hamster. What comprises a typical day for an illustrator/graphic designer within the VG industry? I don’t think there is such a thing as a typical day 😉 Depending on what you’re working on, who you’re working with, deadlines etc. each day has it’s own challenges. In my current job – at fish in a bottle – this can be anything from working with 3D assets to helping with menu flow to being involved in pitch meetings. What piece of graphics/character design within a game are you most proud of? That’s tricky – most of the games I’ve worked on have involved existing characters such as Dizzy, SpongeBob, Bratz, etc. so the challenge is to remain true to the original designs. You’ve worked within the video game industry for many years. How has the industry changed over time? Hugely! With no email or internet, and teams of maybe 2 or 3 people, it’s amazing that anything ever got done 😉 I remember working on one game with a freelance coder who worked from home. When I had graphics ready for him, I’d copy them onto a floppy disk, pop that into a jiffy bag and post it to him. I’d then phone him to let him know it was on it’s way, then a few days later he’d phone back with any feedback. But games did get made, and maybe that lack of technology helped to focus developers minds on what could be achieved. Micro Machines is one of my favourite games – how did the opportunity to work on this come about and how exactly were you involved? 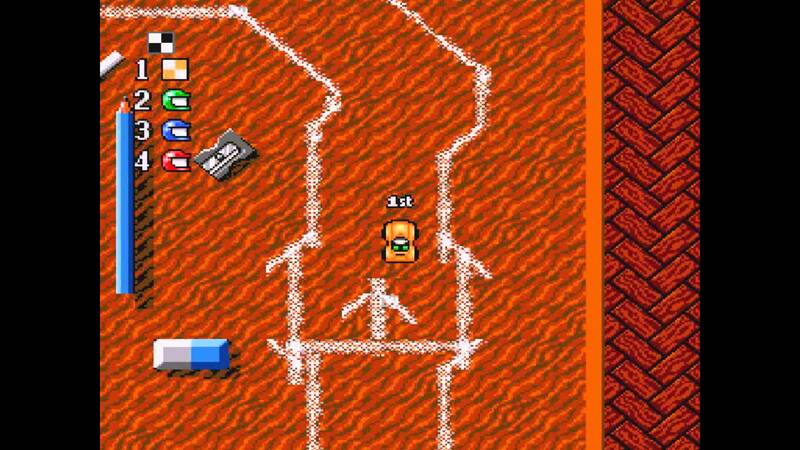 Micro Machines was one of those games that – even as it was being developed – felt a bit special. I can’t take too much credit for anything – the work I did on the Sega MegaDrive was to take the original NES graphics and add more colour and detail to them – reworking certain elements and adding extra frames of animation where necessary. Which video game did you have the most fun working on? What was it like working for Codemasters and are you still in contact from anyone who you used to work with? It was a long time ago – I left in the early 90s – but it was a great place to work. I’m not really in touch with anyone there now – although I’m sure there will be people there who I’ve worked with at some point. If you could one piece of advice to anyone looking to work in the creative side of video games, what would you say? Learn as much as you can about the area you want to work in – there’s so much information on the internet these days there really is no excuse for not knowing your stuff. And do your best to keep up to date with what’s going on – creative industries changes a lot and it’s easy to get left behind. You also work outside of video games, can you describe other roles you have taken on? What video game graphics are you currently working on? Not surprisingly, I can’t really talk about what I’m working on at the moment, but the last game I worked on – SpongeBob Squarepants – A Mission Through Time – went live earlier this month. Tricky, but I’d probably have to go for one of the classic Lucas Arts point and click adventures. 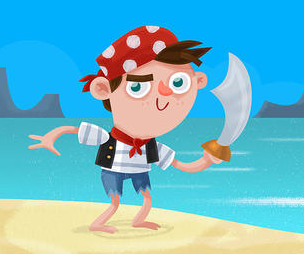 I loved playing games like Day of the Tentacle, Sam & Max and, of course, Monkey Island. Also like to mention the Broken Sword games.